Really? Seriously? Teaching them young, huh? What about this?! 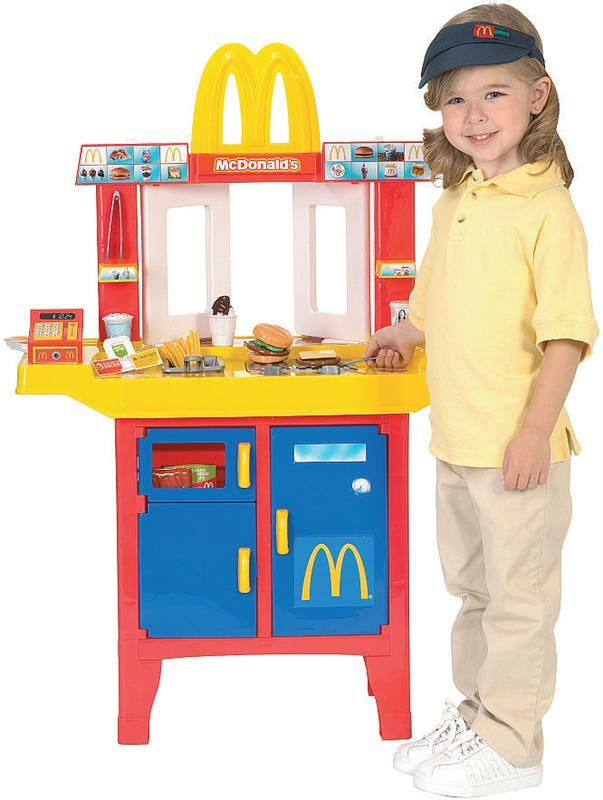 Yeah, I've gotten the occasional Happy Meal for my little B. It still makes me cringe though. Now you can have your very own drive-thru. I just do not think that this is OK. Maybe it is because of my own struggles with food, but ugh. We have a play kitchen for B now, with fruits, veggies, and chicken, etc. that she can cook. I am such a rebel.